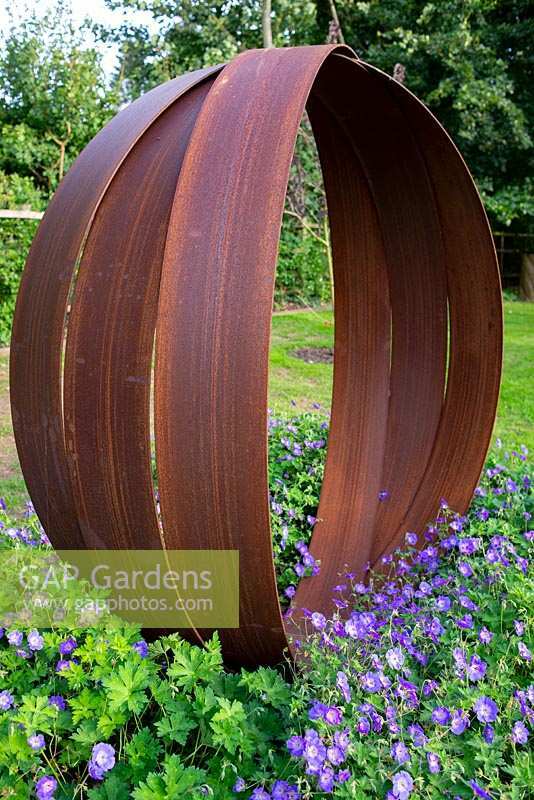 Rusted steel sculpture inspired by a Russian wedding ring designed and made by Dominic Watts. Underplanted with Geranium Rozanne 'Gerwat'. Image 1302639 has been added to your cart.